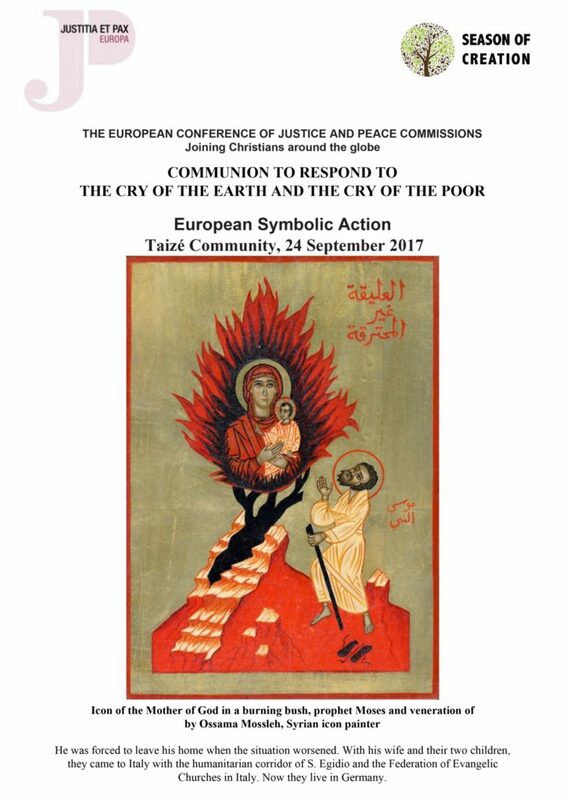 At their annual meeting and workshop, the Conference of European Justice and Peace Commissions promoted care for Creation. The commission members held a symbolic action to recognize the wounds of Creation and jointly commit to healing them. The participants removed their shoes, standing barefoot on Earth to demonstrate radical renewal of a connection with Creation. They then placed soil taken from wounded sites in their countries into a container, symbolizing unity in the face of common social and environmental devastation. For more information, please see press release here. This symbolic action, along with hundreds of others around the world, celebrates the Season of Creation, when we’re called to prayerfully reflect on our role as protectors of the Earth. Christians around the world are standing together to address climate change and commit to sustainable stewardship of Creation. Learn more about hosting your own event at SeasonOfCreation.org. Whether it’s a symbolic action or a simple prayer service in your home or church, your action matters. Visit SeasonOfCreation.org to find all of the tools and resources you need.